Posted on October 28, 2017 at 1:08 am. 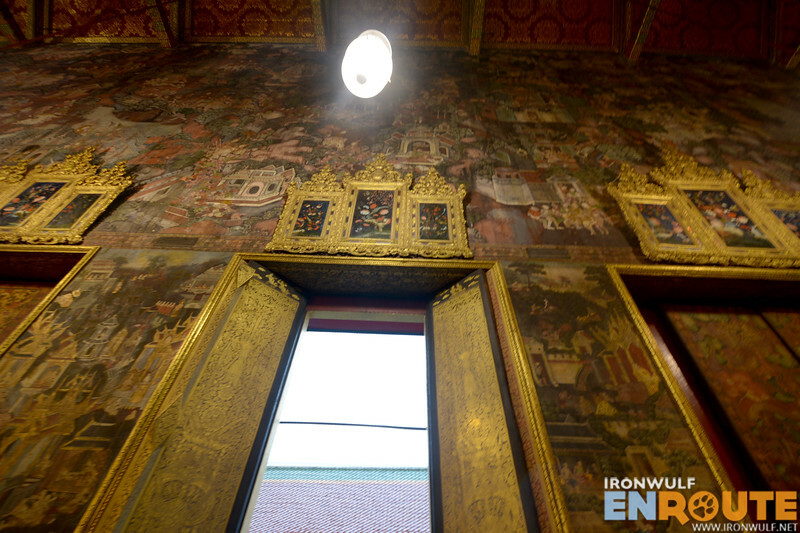 I realized I was already encircling around the perimeter walls of Bangkok’s Grand Palace. I was walking under heavy rain and squeezing my way through the crowd of black-garbed Thai mourners of the recently passed King at the roadsides. Thai people adore King Bhumibol Adulyadej and it shows. As I got into the Grand Palace, I saw bus loads of tourist waiting to get in. I only have less than two hours left and paying 500 THB along with this crowd didn’t appeal to me. So I left. Then there’s Wat Pho I remember passing by earlier. I retraced my route to the back of the palace. Drenched and tired, I just wanted a nice place to sit. I was thrilled that there were less people here at Wat Pho. I paid my 50 THB entrance fee which comes with a free bottle of mineral water and went on to explore the temple grounds. This Thailand trip was a birthday treat to myself. It’s been a year since I last went out of the country coming from my dismal experience in Kuwait. It’s kind of liberating to travel abroad again and in one of the Southeast Asian countries I haven’t thoroughly explored. The last time I was in Thailand, I slept at Suvarnabhumi and crossed border at Chong Mek for Laos. 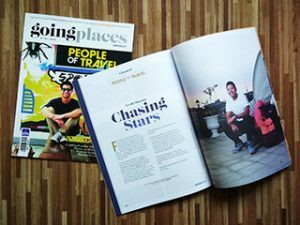 This time around, I wanted to spend my nine days solely for Thailand. Like in any other country, there are iconic landmarks first time visitors “must visit” just to get an initial feel or know historical marks of the country. 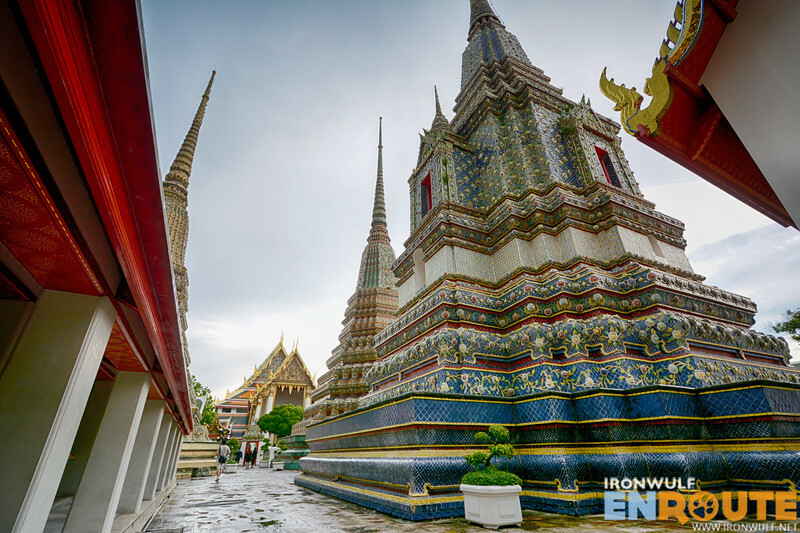 The Grand Palace is one of them and also the neighboring Wat Pho. I just wanted shelter from the rain when I went into one of the chapels after entering the Buddhist compound. I wasn’t aware I was already in the abode of Wat Pho’s Giant Reclining Buddha the Viharn Phranorn. Took off my sandals and hooked it up to my bag. The Giant Buddha’s head supported by his hand were the first thing I saw entering the door. 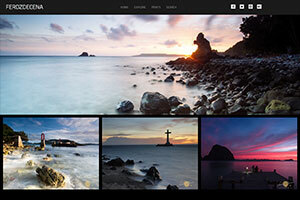 It is huge that you really have to have a wide angle lens to capture. The reclining posture is referred to as sihasaiyas. 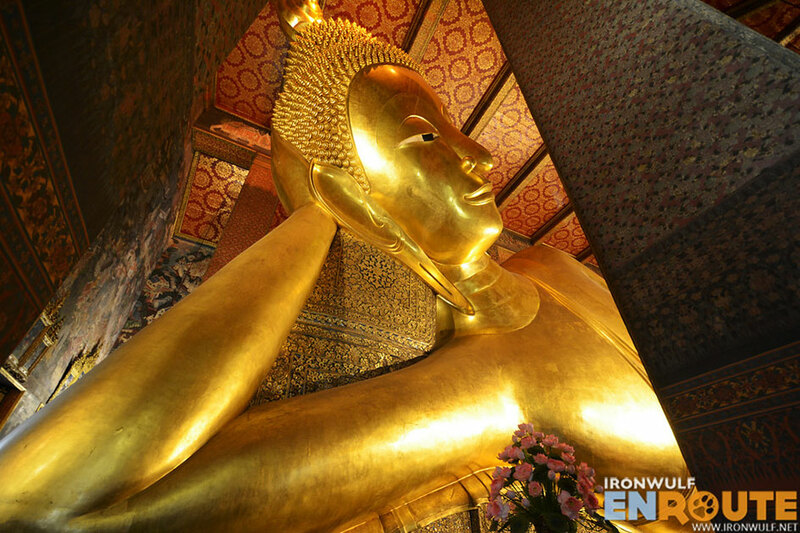 The Buddha at 15 meters high and 46 meters long is one of the largest Buddha statues in Thailand. 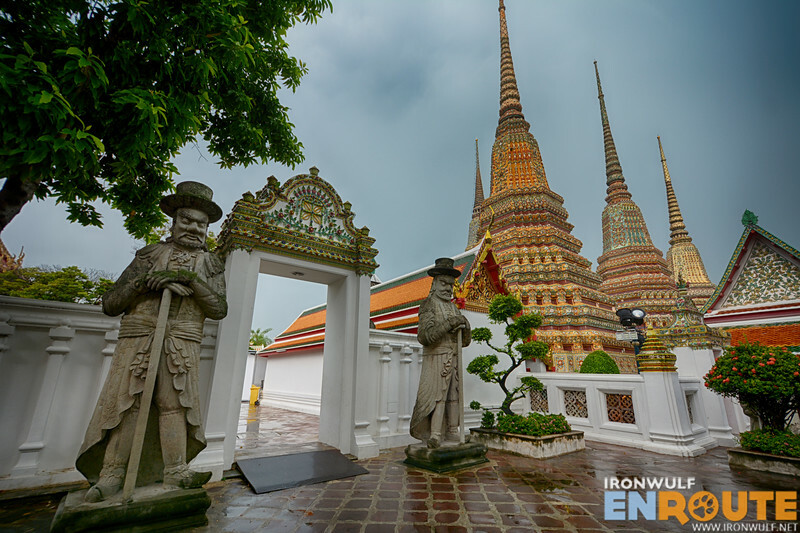 The chapel and the reclining Buddha were built in 1832 but Wat Pho is far older. 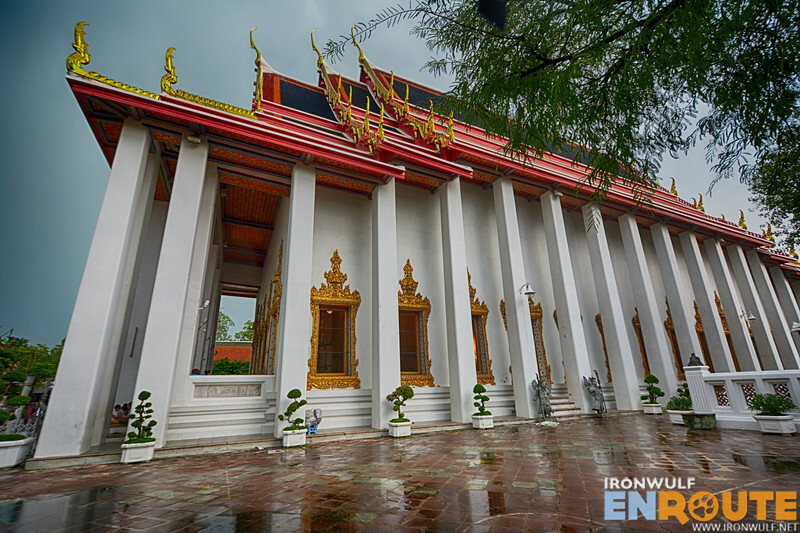 The temple complex is one of the oldest in Thailand. 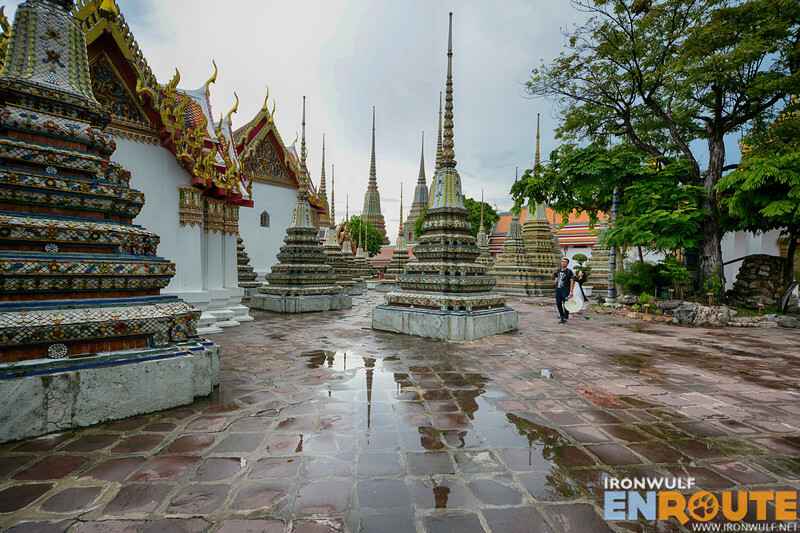 It existed even before Bangkok was established as a capital sometime during the Ayuthaya period (1656–1688). 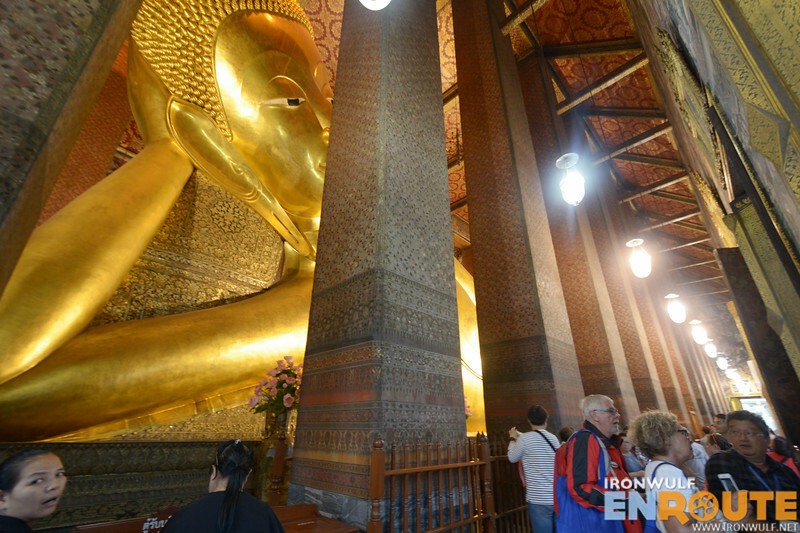 I marveled at the Giant Reclining Buddha, occasionally taking photos. For a moment I just sat by the window side and observed the locals going from station to station to pray. On the other side of the Buddha there’s 108 bronze bowls where people can drop coins. Aside from helping in the upkeep of the temple, it is believed to bring good fortune. I didn’t do any reading on Wat Pho when I went there. 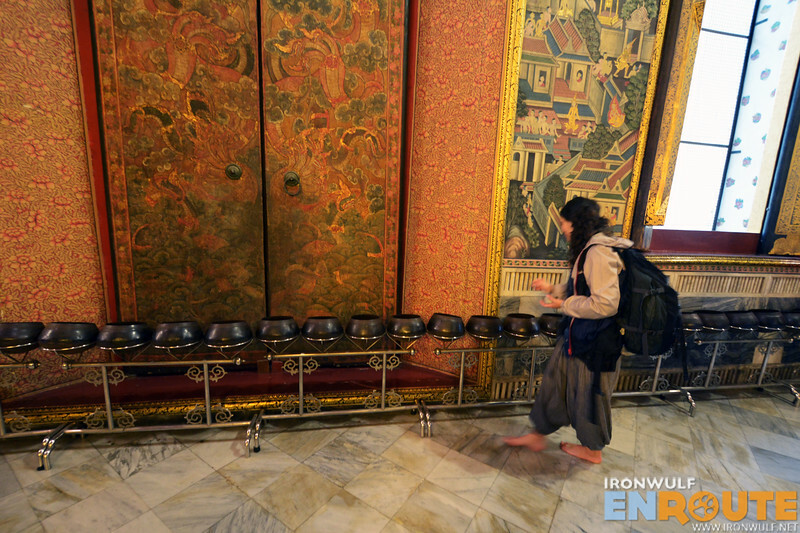 After the reclining Buddha, I was ready to leave. But since the rains stopped and the compound looked bigger I decided to venture deeper into the complex. I found myself admiring four towering chedi (stupa) covered in colorful tiles. Each of the four chedi represents four kings of the Chakri dynasty hence the group is called the Royal Chedi. Surrounding the chedis are covered hallways of 394 Buddha images in seated or standing variations. Continuing my exploration, I interestingly passed by a couple of Chinese Guardian statues. Shows how the Chinese influence come 19th century. I passed by a few smaller chedi which are said to contain ashes from members of the Royal Family. They are about 5 meters high and reflects nicely among the puddles of water that afternoon. I passed through more hallways with Buddha until I found the imposing Phra Ubosot, a bot or ordination hall. I found my way to the impressive ordination hall where I had to remove my footwear again as sign of respect. 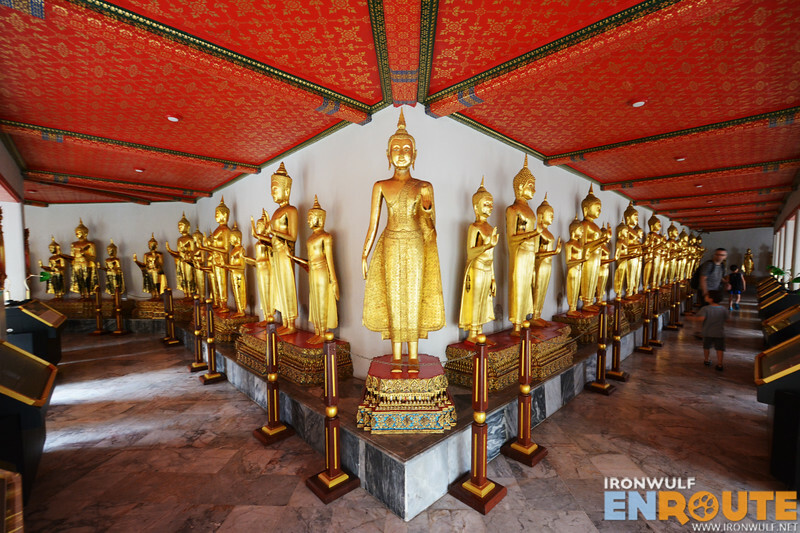 Inside is a glowing and golden three-tiered Phra Buddha Theva Patimakorn Buddha. The image of the Buddha originally from Ayuthaya was transferred by Rama I here. The monarch’s ashes also lay here. It was solemn and silent inside the hall. The red carpet looks comfortable so I sat there to rest and for a moment, meditate on my breath for a few minutes. I’m not religious but I’m thankful for my breath and being able to travel freely again. I unexpectedly enjoyed Wat Pho. It may play second fiddle to the Grand Palace nearby but it is remarkable in its own way. 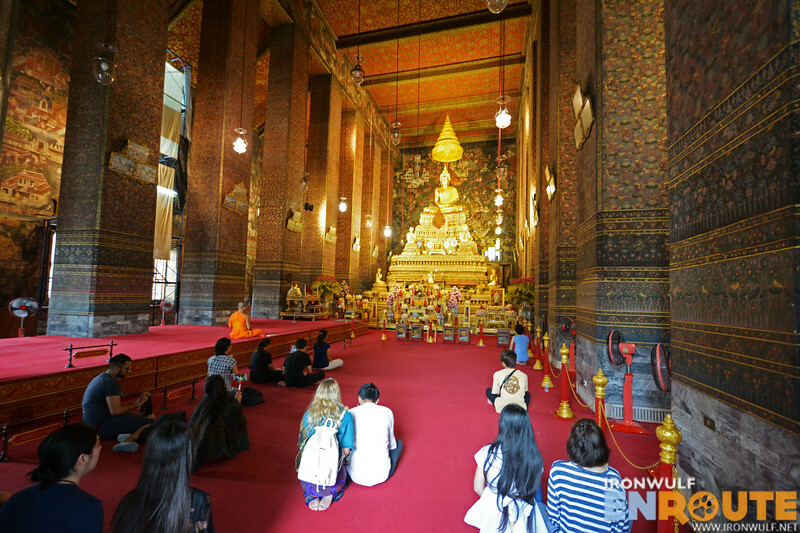 The temple complex houses one of the largest reclining Buddha figure in the country, impressive collection of Ayuthaya and Sukhothai Buddha images, colorful and attractive chedi and also one of the first center of education in the country. 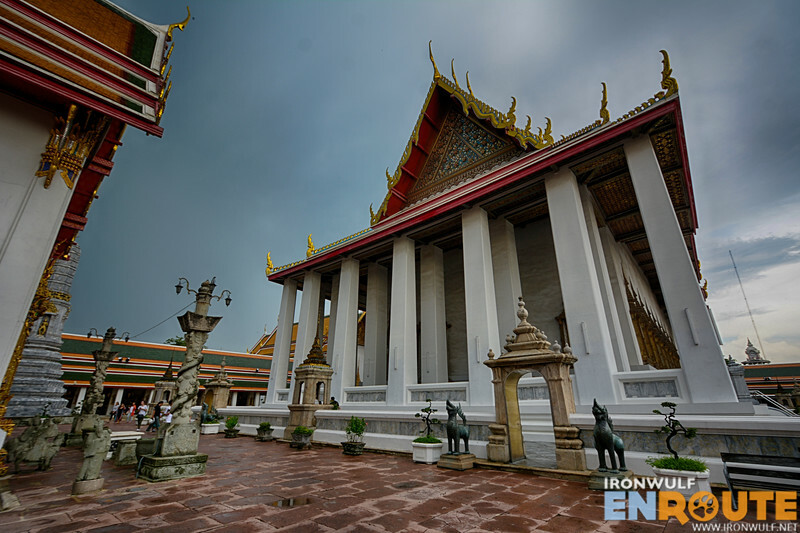 Wat Pho was considered as the first university for traditional medicine and Thai Massage. Getting rained-on to this temple wasn’t so bad after all.